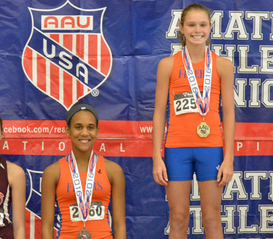 Lacy, one of 17 on the Victoria track team to qualify for the Amateur Athletic Union Junior Olympic Games for track and field, is glad she didn't quit after that first day. 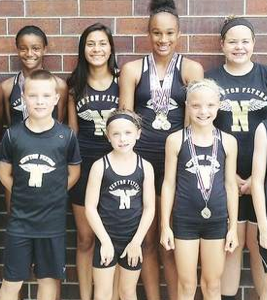 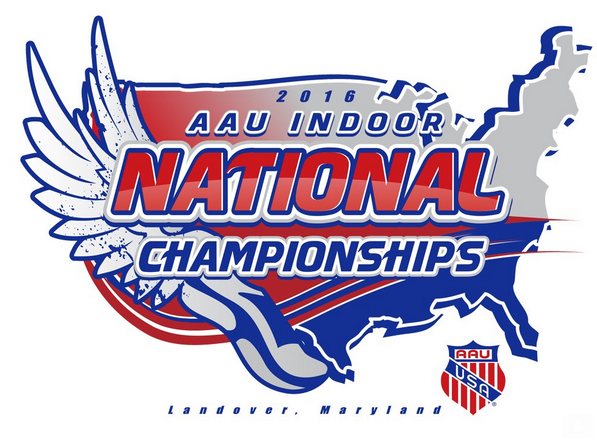 Members of the Newton Flyers track and field club will send 12 athletes to the AAU Junior Olympic Nationals June 28 through Aug. 2 at Drake University in Des Moines, Iowa. 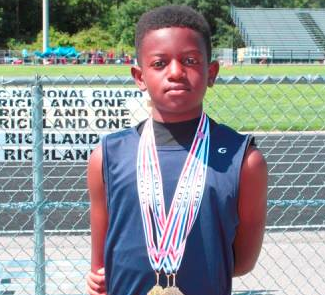 Jalen Anderson of Roscoe finished first in the 200-meter hurdles for 13-year-olds with a time of 30.08 seconds. 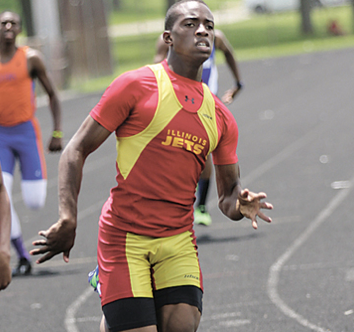 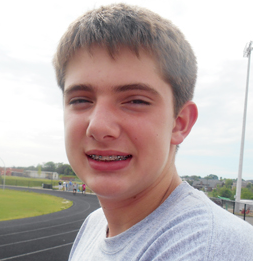 He was also fourth in the long jump with a leap of 14-feet, 10 inches. 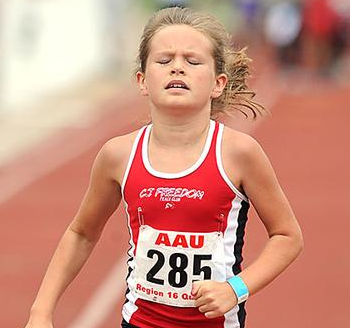 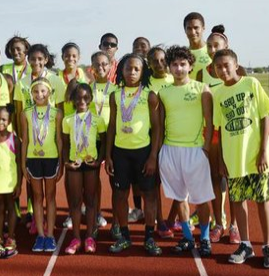 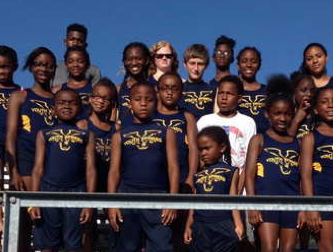 The Youth Xpress track club qualified 18 of its members for the Junior Olympics Track and Field Meet in Des Moines, Iowa, that runs July 25-Aug. 2.